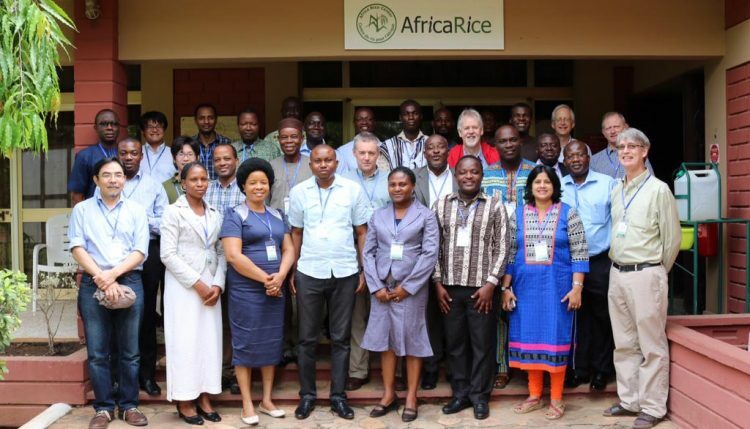 The AfricaYam annual review and planning meeting took place at IITA Cotonou, Benin, on 14-18 March with participants from Nigeria, Ghana, Benin, Côte d’Ivoire, Japan, USA, and UK. They gathered to review the progress made in the previous year and to chart a new course for achieving the project’s goals. 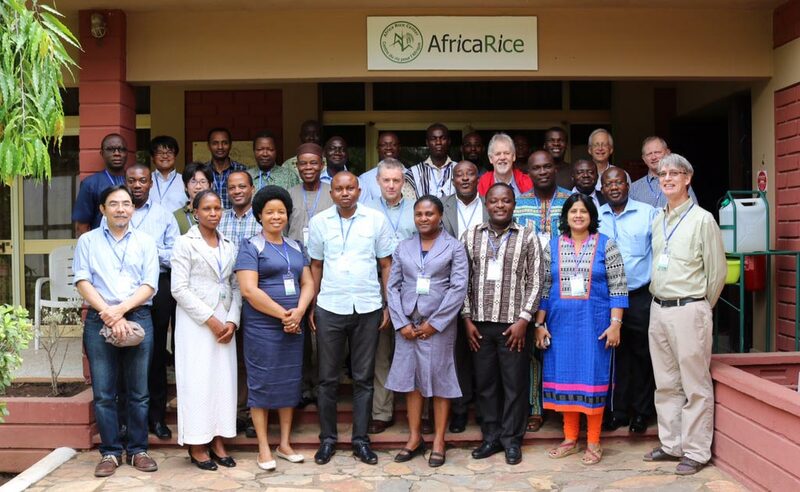 Group photo of the participants of the AfricaYam annual review and planning meeting. Manuele Tamo, Entomologist and IITA Benin Country representative delivered the opening remarks and described the task as challenging. He spoke on behalf of Robert Asiedu, IITA Director R4D West Africa, emphasizing the uniqueness of the crop. He said the AfricaYam team is fortunate to be working on a crop where demand exceeds supply. Tamo expressed gratitude to the Gates Foundation for supporting yam breeding programs in West Africa. He advised the project to be prepared for climate change and also plan for developing improved varieties for farmers. Tamo challenged the project to find solutions to the yam tuber beetle problem which has resulted in the abandonment of some farms in Ghana. The project’s Technical Advisory Committee (TAC) was also inaugurated, consisting of seasoned research professionals who will provide technical oversight to the project. The TAC was impressed with the progress made so far and expressed support for the project. The new members of the TAC include David Marshall of the James Hutton Institute (JHI) UK (bioinformatics, data management); Eric Danquah from West Africa Centre for Crop Improvement (WACCI), Ghana (plant breeding in the private and public sector and developing technologies for farmers); and Carlos Iglesias from Syngenta seeds, USA (plant breeding, genetics and seed development). Other members of the TAC come from IITA and the Gates Foundation. The TAC members nominated Marshall to chair the committee with Danquah as vice chair. They emphasized that the next generation of yam breeders will require critical training on data handling and use of breeding software. Partners were encouraged to take advantage of in-country funding for training plant breeders and related personnel to support the capacity building efforts of the AfricaYam project.